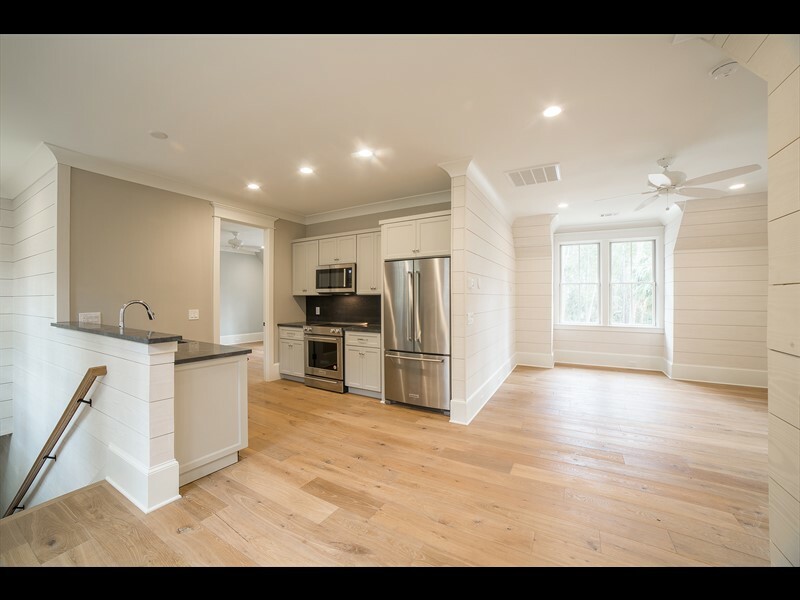 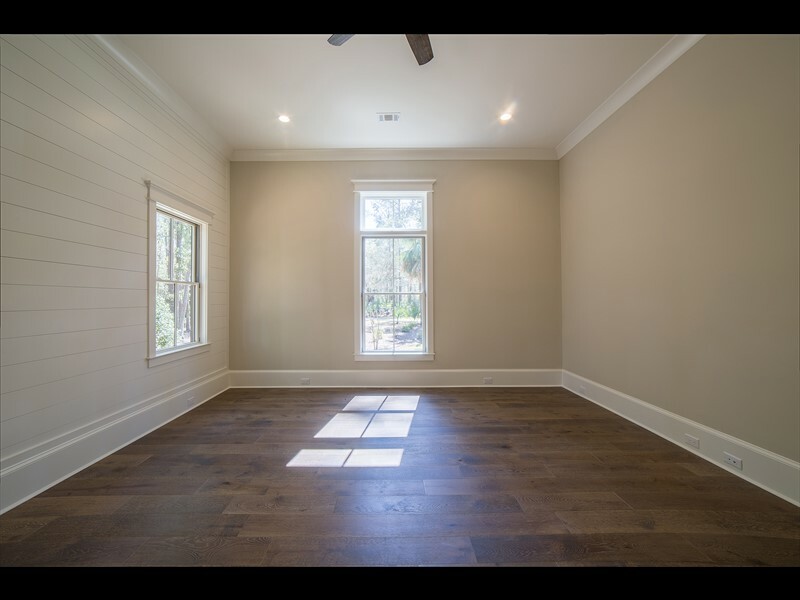 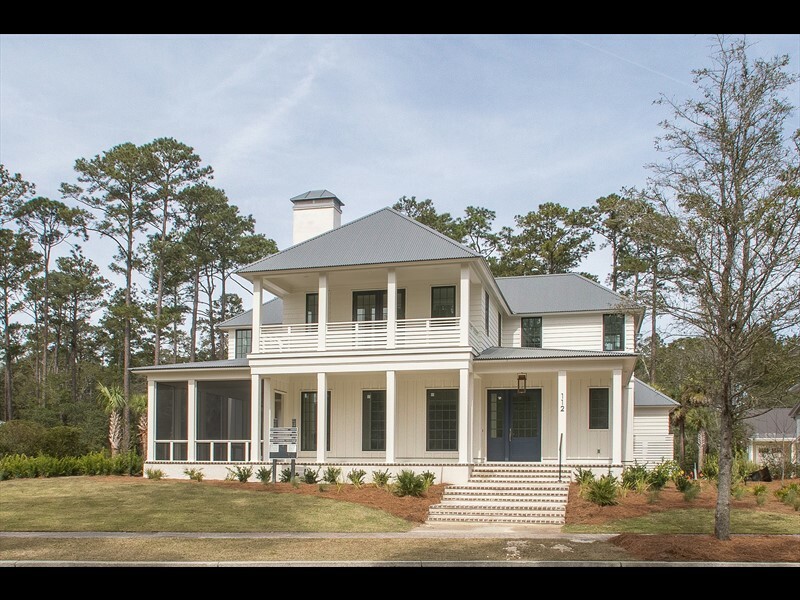 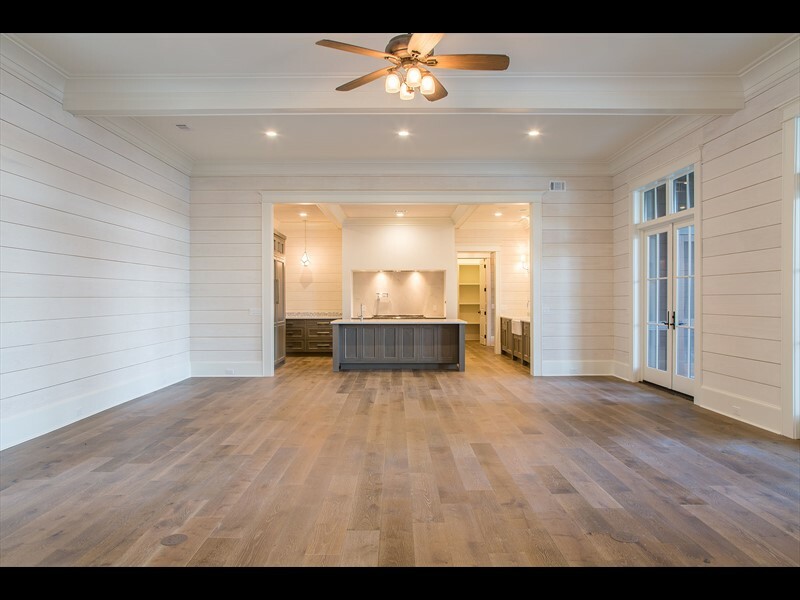 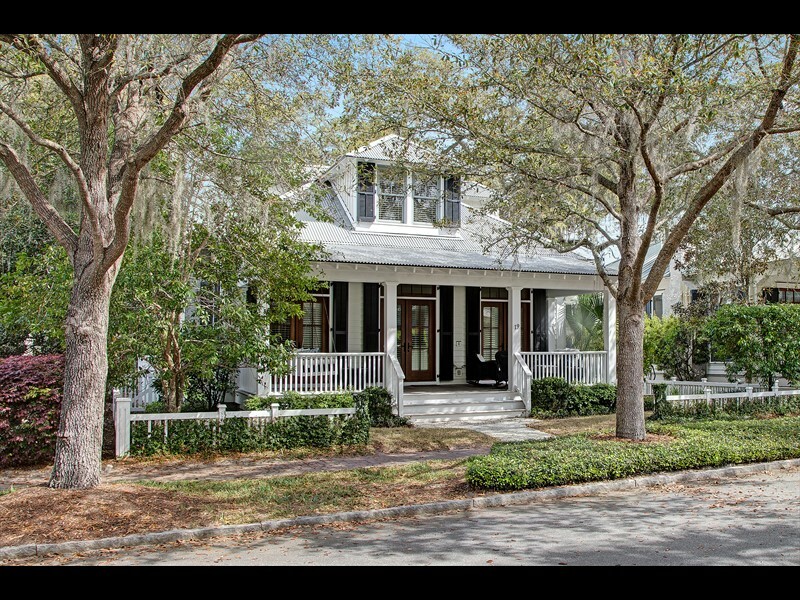 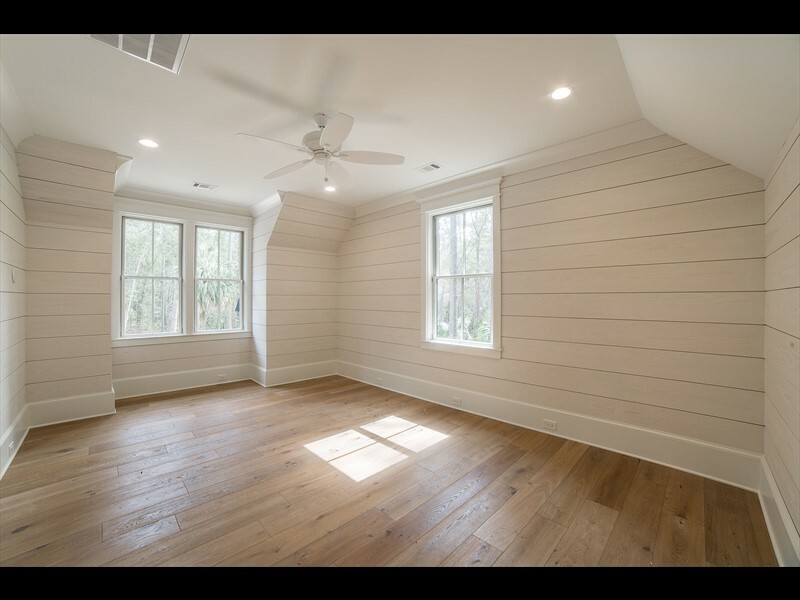 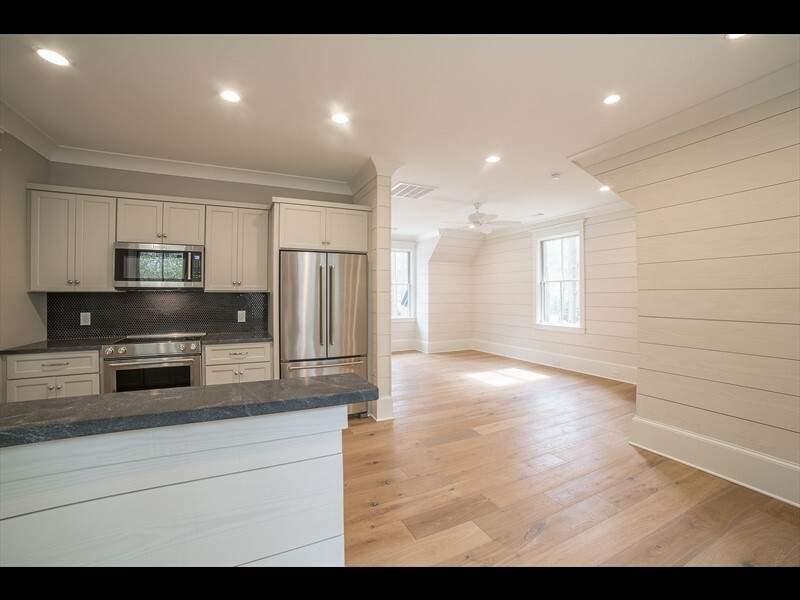 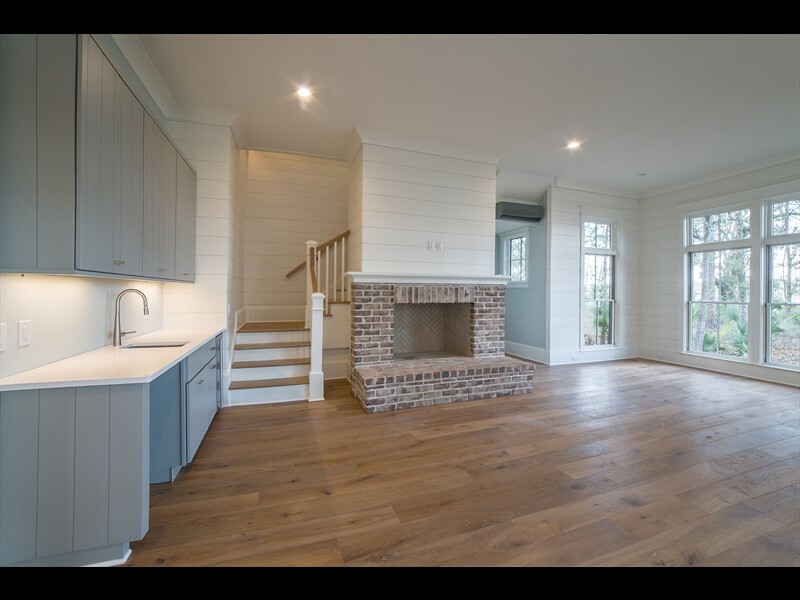 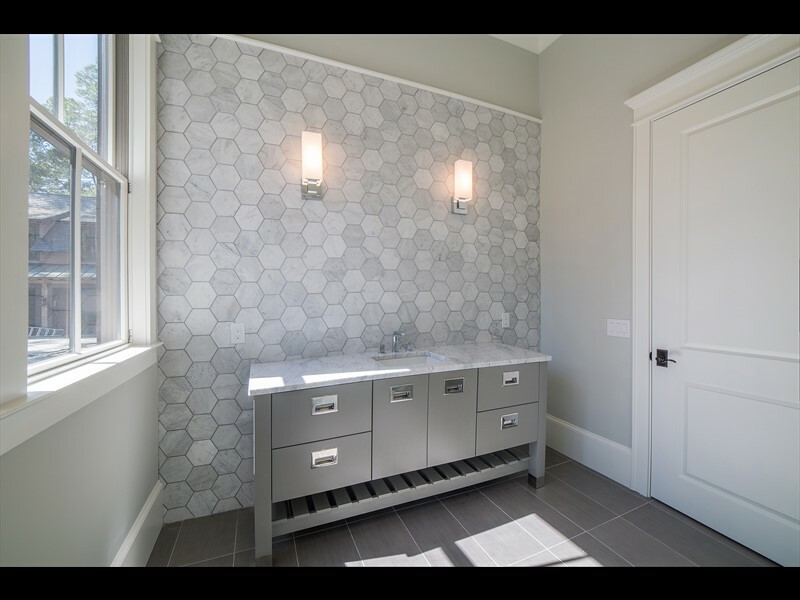 36 Hope’s Neck Drive is a newly constructed residence in the May River Forest neighborhood of Palmetto Bluff. 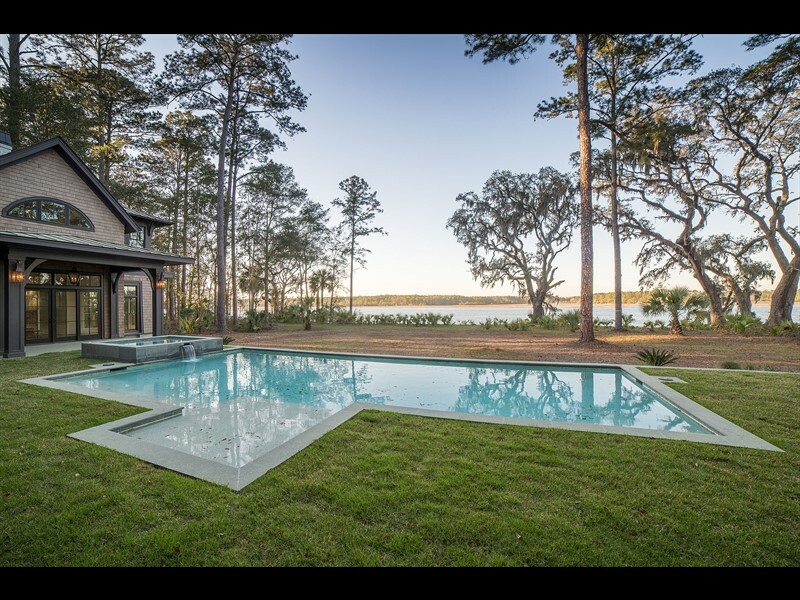 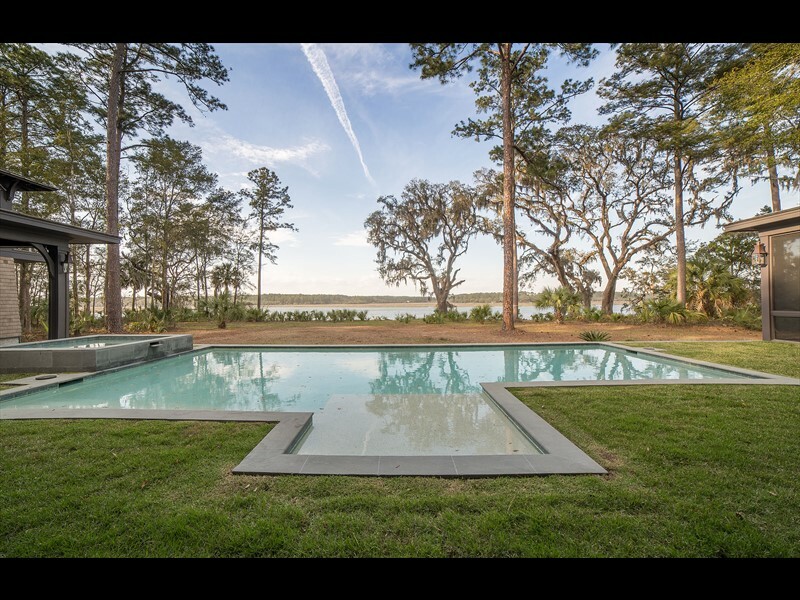 This six bedroom, six-and-a-half bathroom intricately designed retreat sits on a one-and-a-half acre homesite boasting unparalleled views of the breathtaking May River and definitive Lowcountry marshlands. 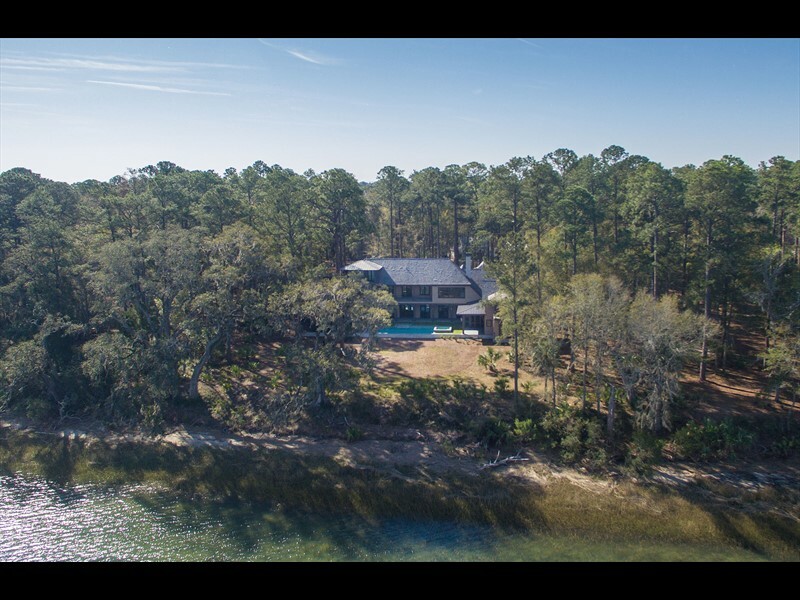 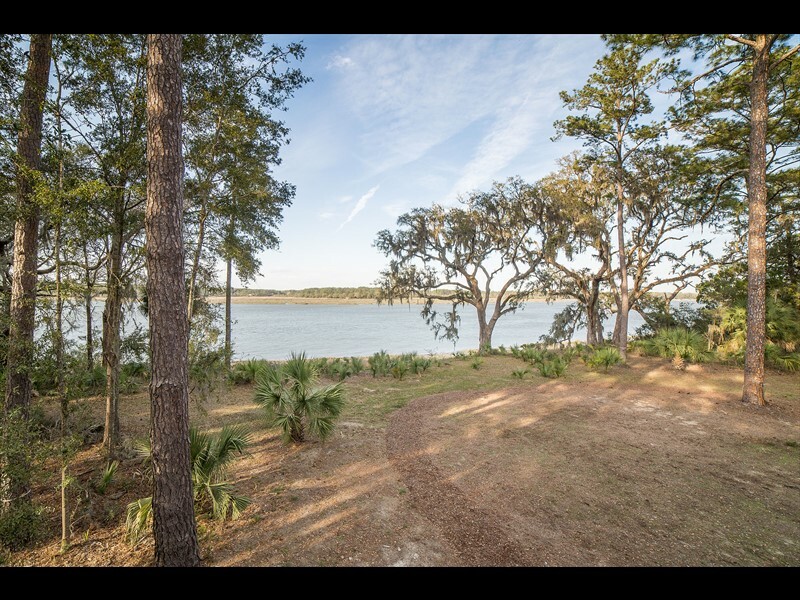 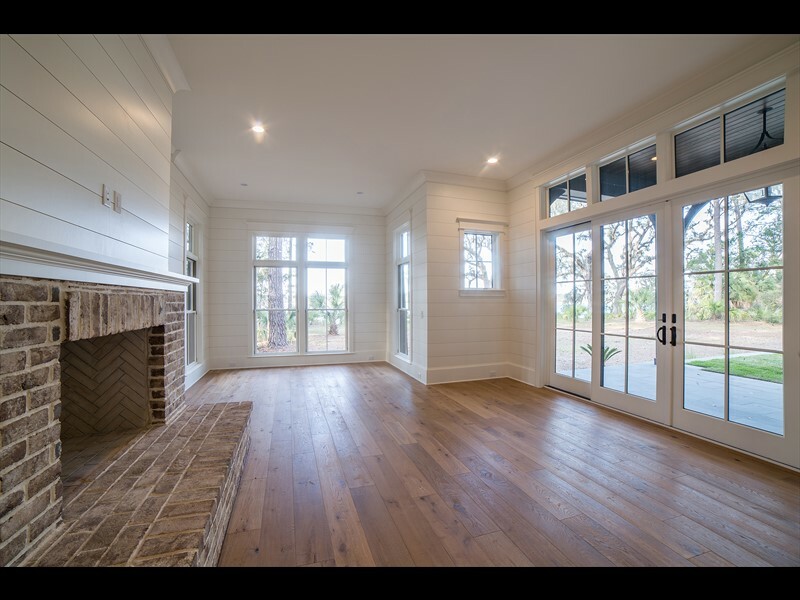 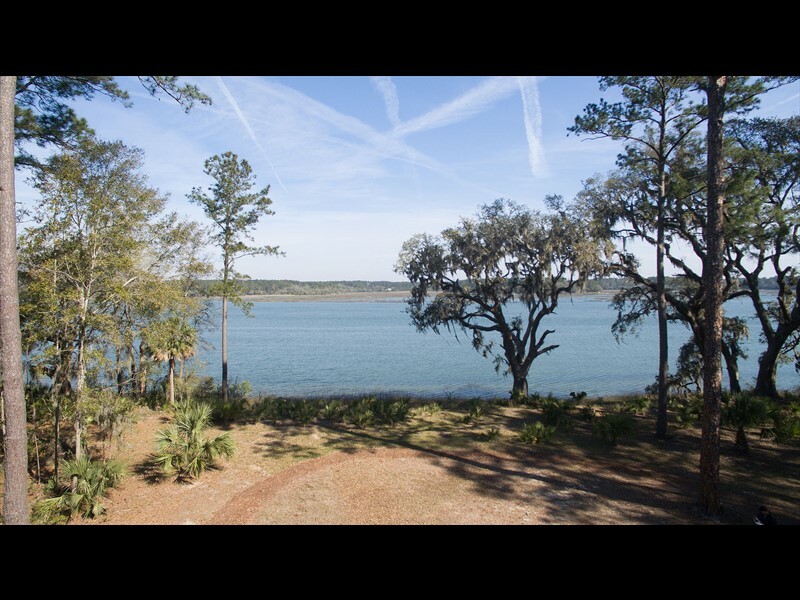 The May River Forest neighborhood embodies the well-known natural landscape of the South Carolina coast with beautiful live oak trees, palms, mature pines and miles of saltwater edge prevalent in this area. 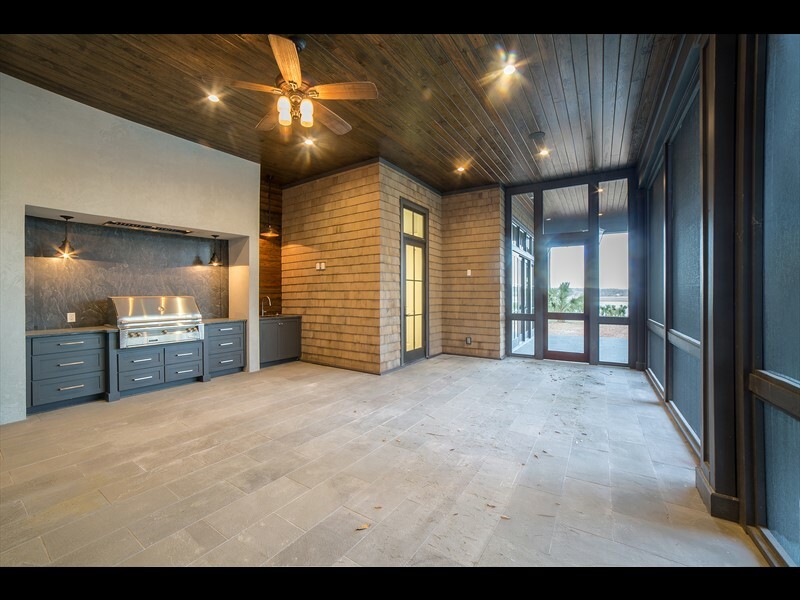 These distinct features are seamlessly incorporated into the design elements of this 8,559-square-foot residence where both the interior and exterior display remarkable rustic yet elegant features. 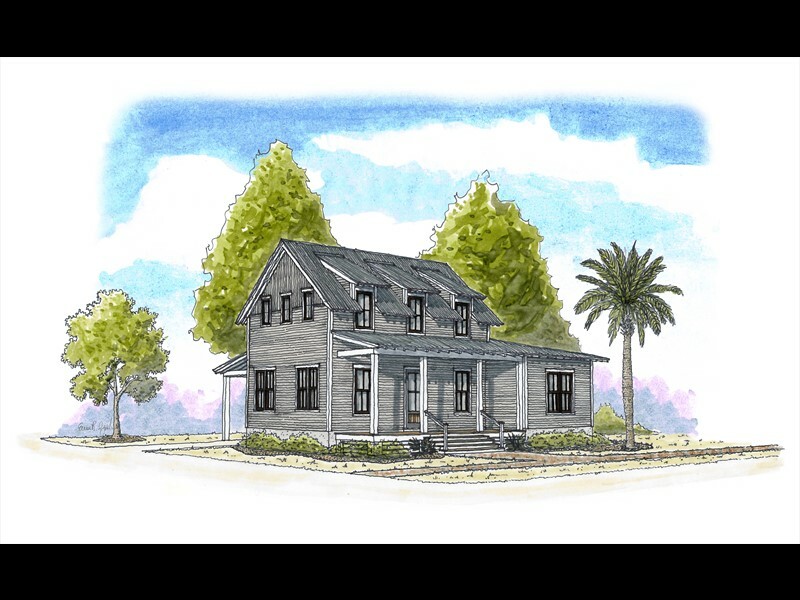 Situated at the end of a quiet cul-de-sac, future owners are met with an architecturally eye-pleasing home with lightly colored cedar-shake siding, a combination of metal and cedar-shake roofing, sweeping front porch with gas lanterns, alluring columns and beautiful landscape details. 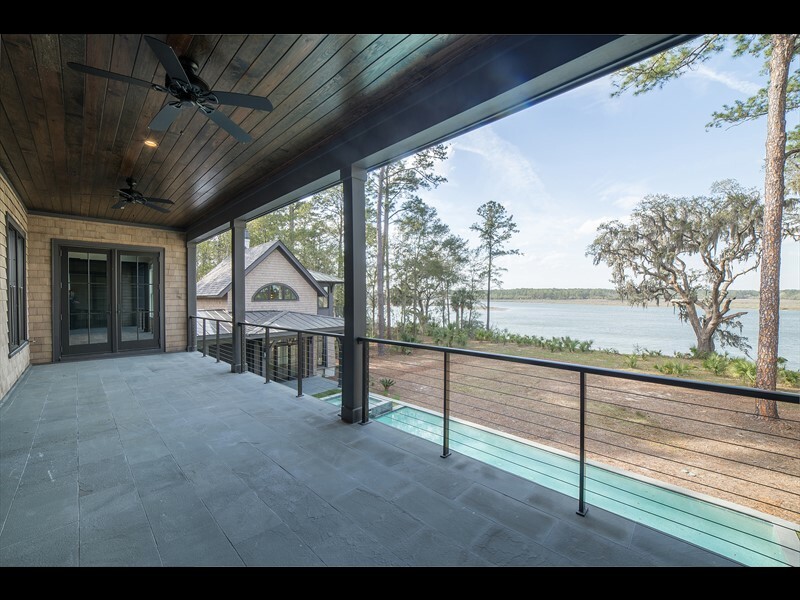 A large foyer entryway immediately captures the extraordinary river views with strategically placed floor to ceiling windows and large French doors. 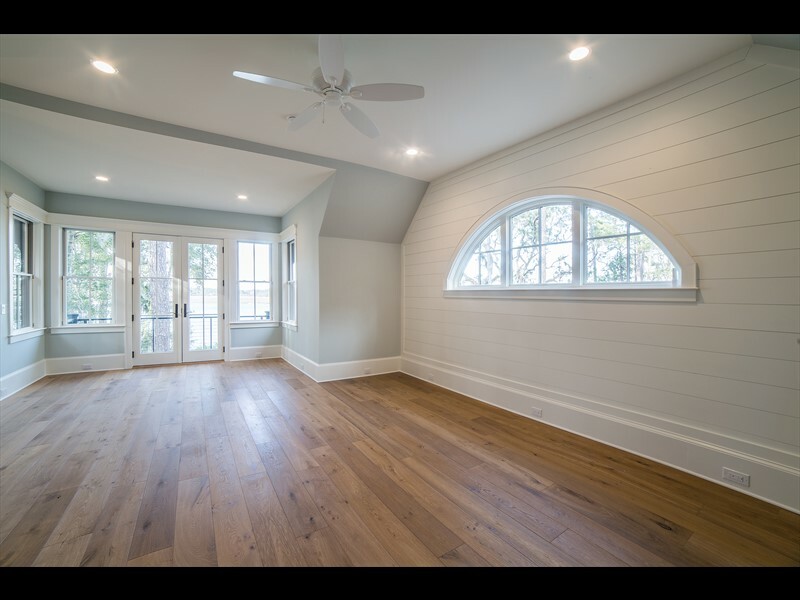 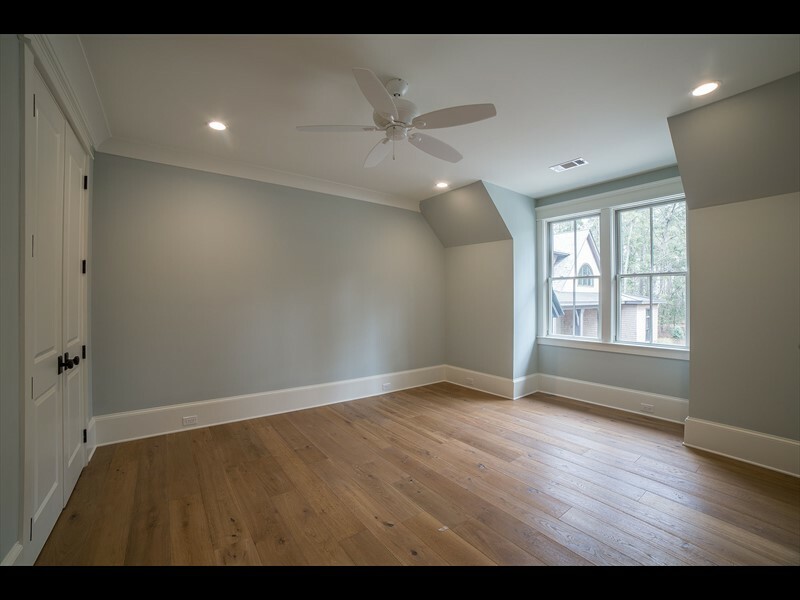 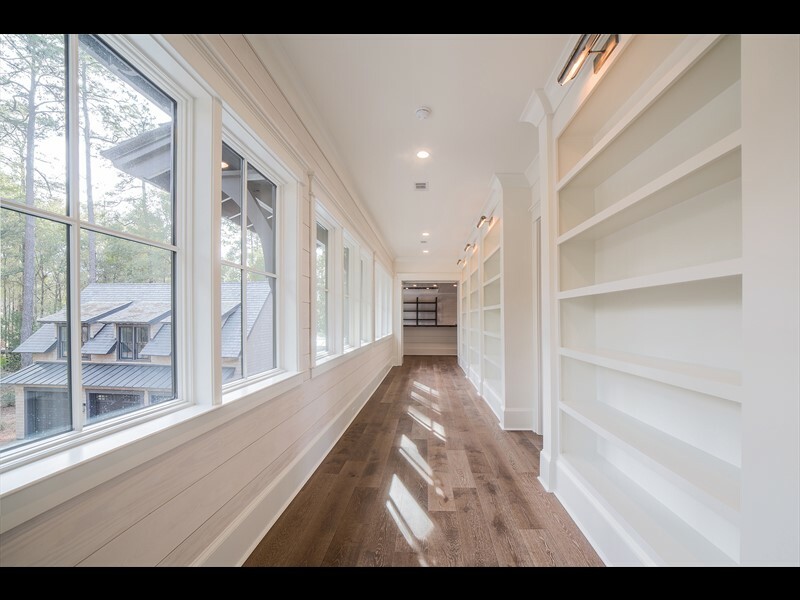 This trend continues throughout the entire home where extensive window usage captures abundant natural lighting bringing the outdoors in at every opportunity. 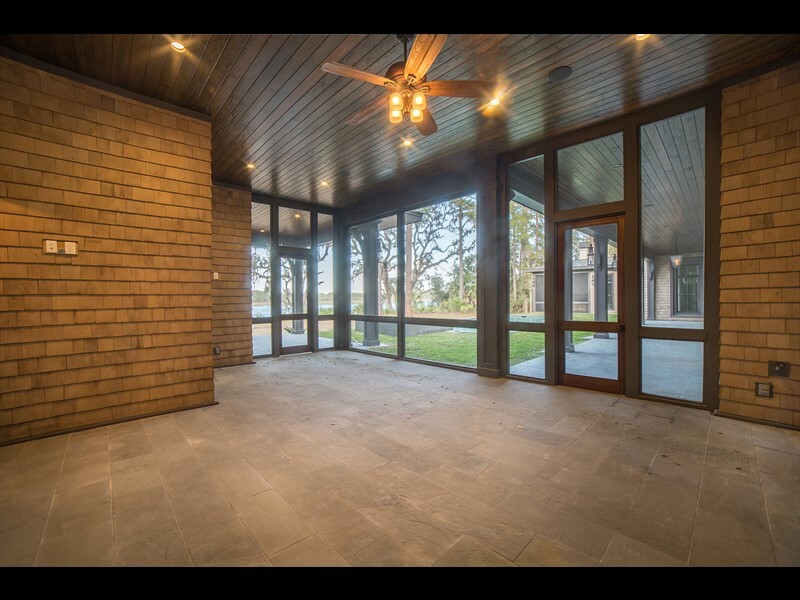 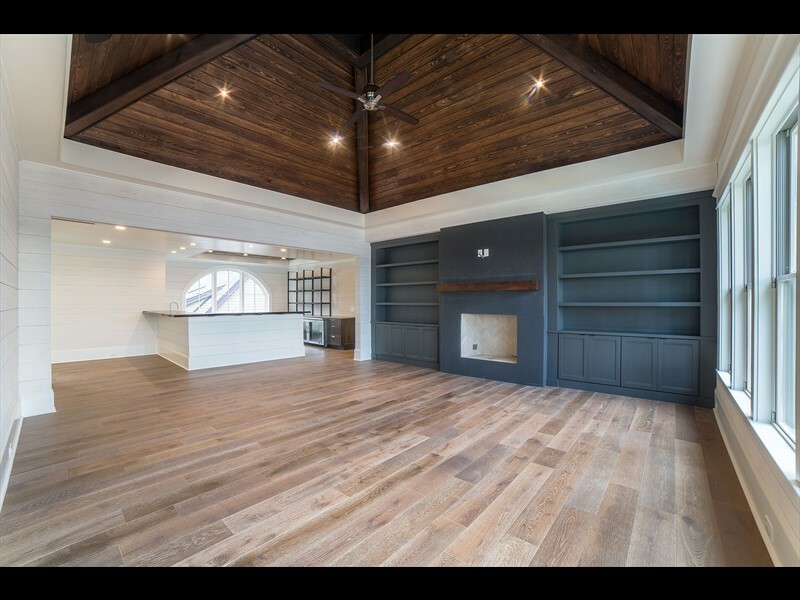 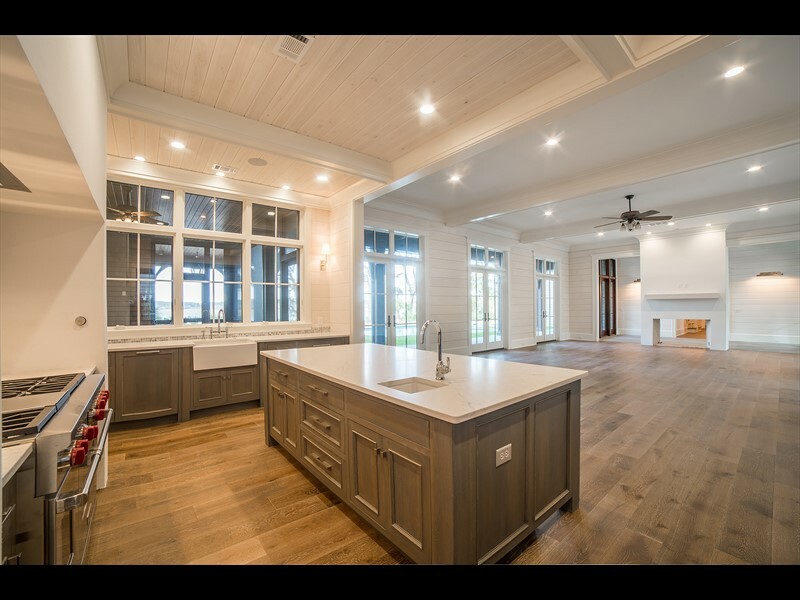 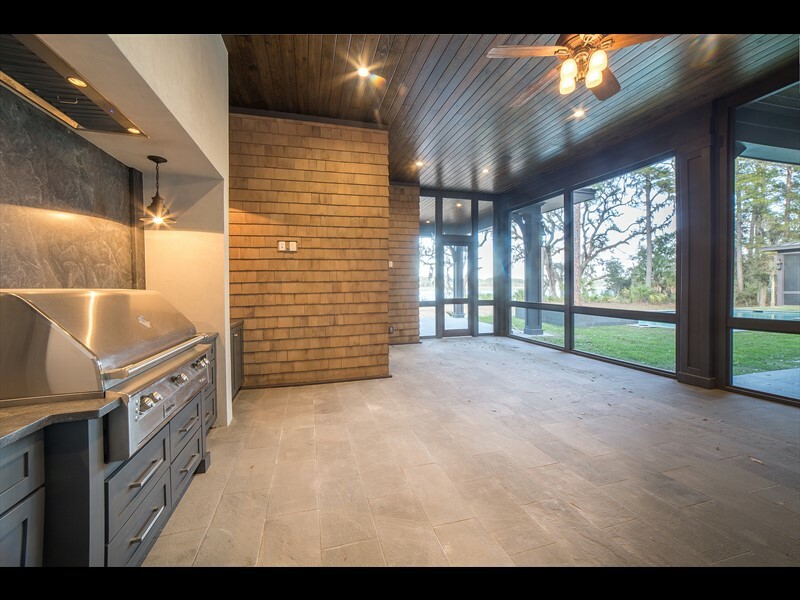 The first-floor of the main residence features a stunning great room with ventless fireplace, large gourmet kitchen with ample countertop space, back kitchen with dual stacked ovens and additional storage. 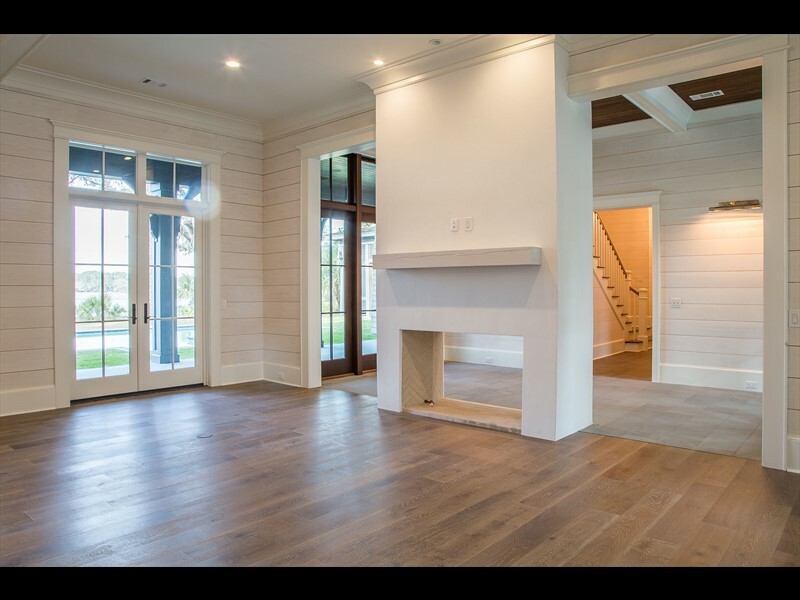 A breathtaking master wing and additional guest suite are also on the first floor. 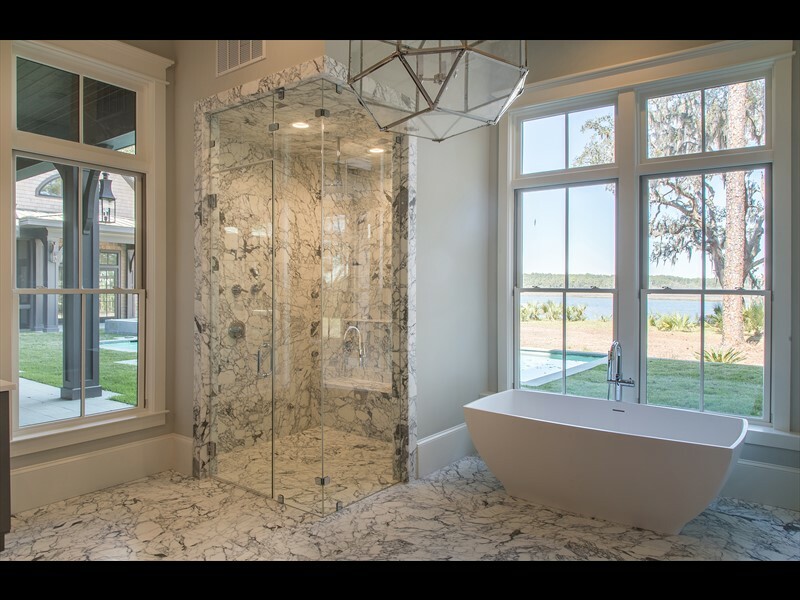 As an ideal owner’s oasis, the master suite highlights the exceptional water views with a private porch, large walk-in closet and a spa-like bathroom with dual vanities, a stand-alone tub and a stunning shower. 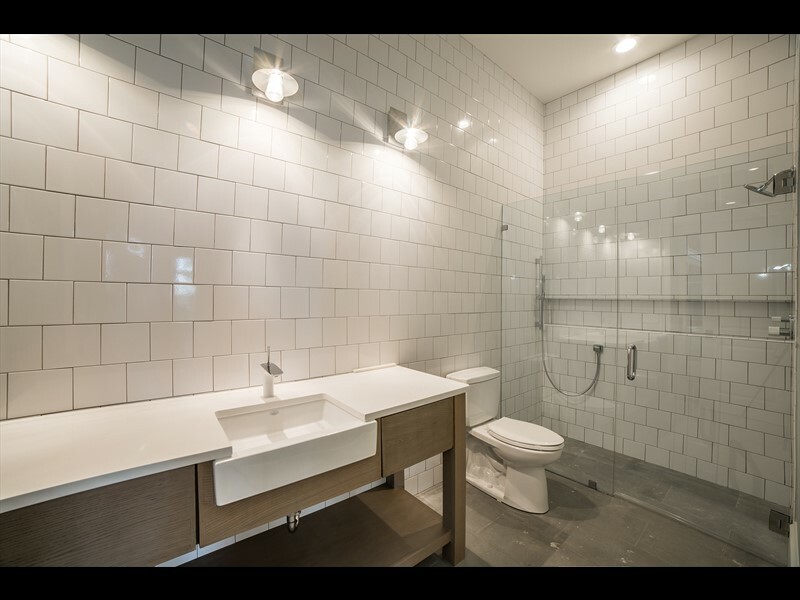 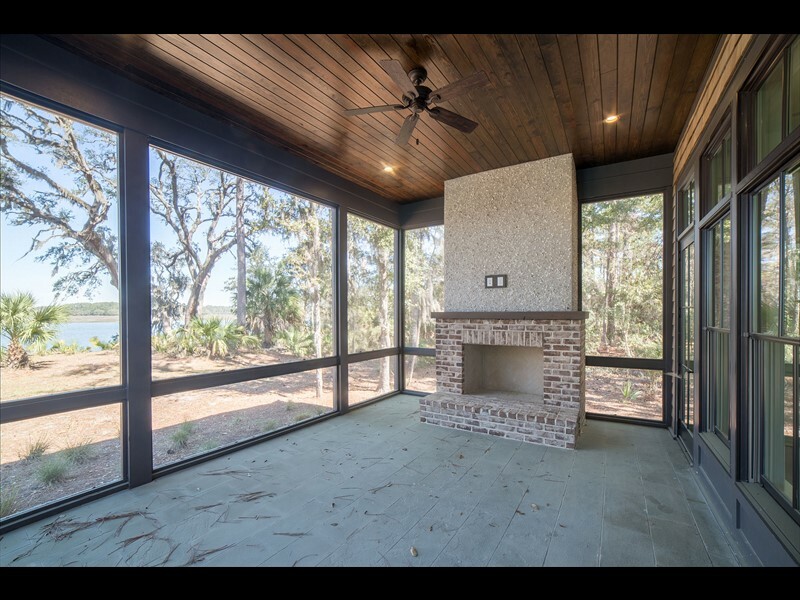 The second floor hosts two bedroom suites, a generous study, a living/media room with an additional fireplace, and a covered balcony that overlooks the backyard and river beyond. 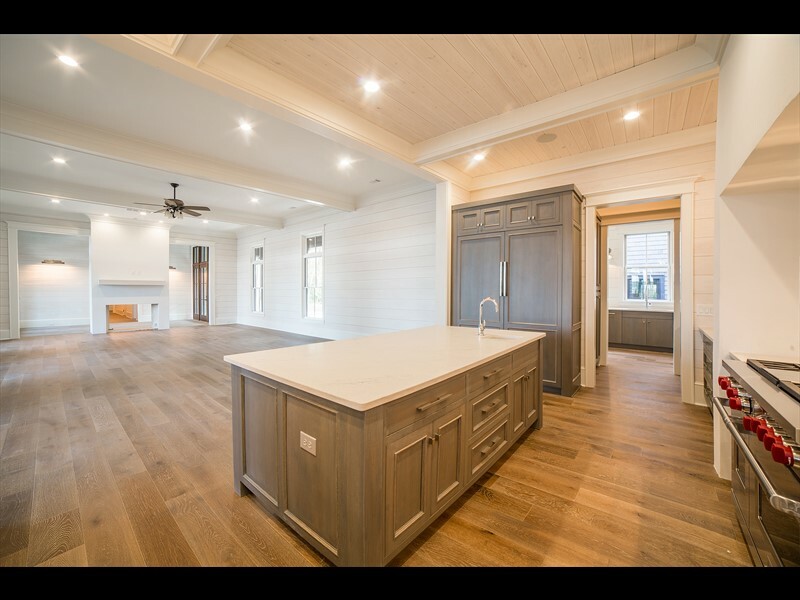 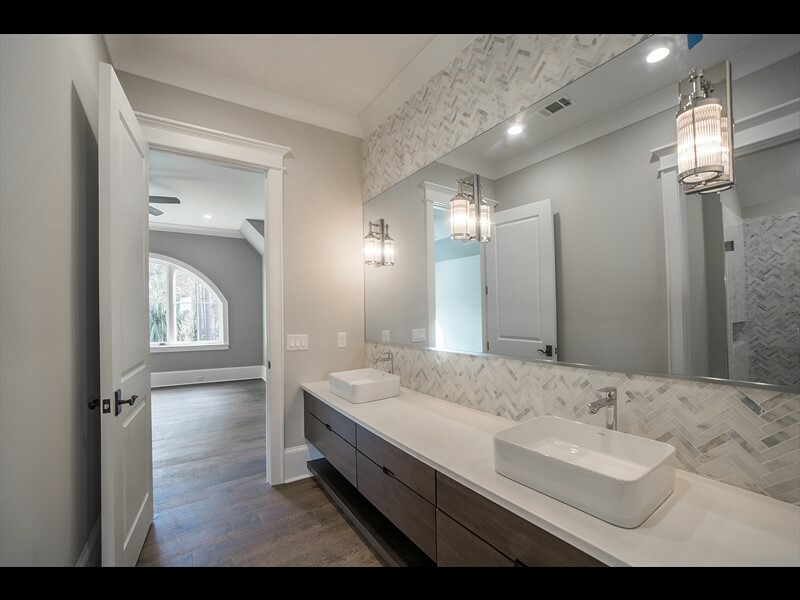 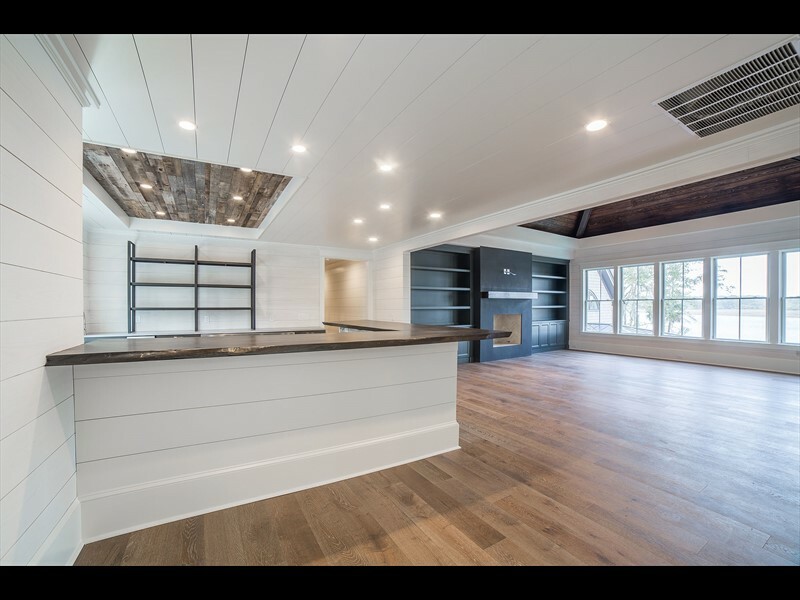 The living/media room also features an extensive bar and entertainment area with custom built-in countertops and cabinetry, refrigerator, beverage cooler, and sink. 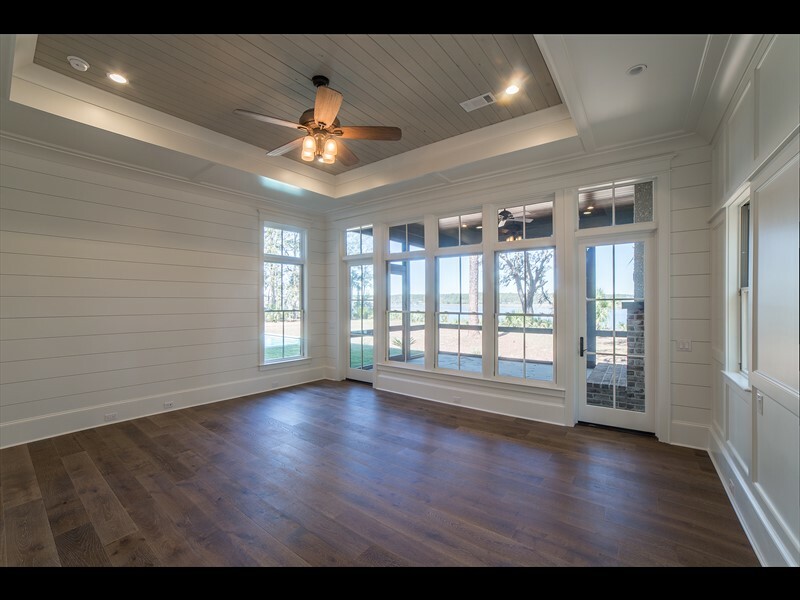 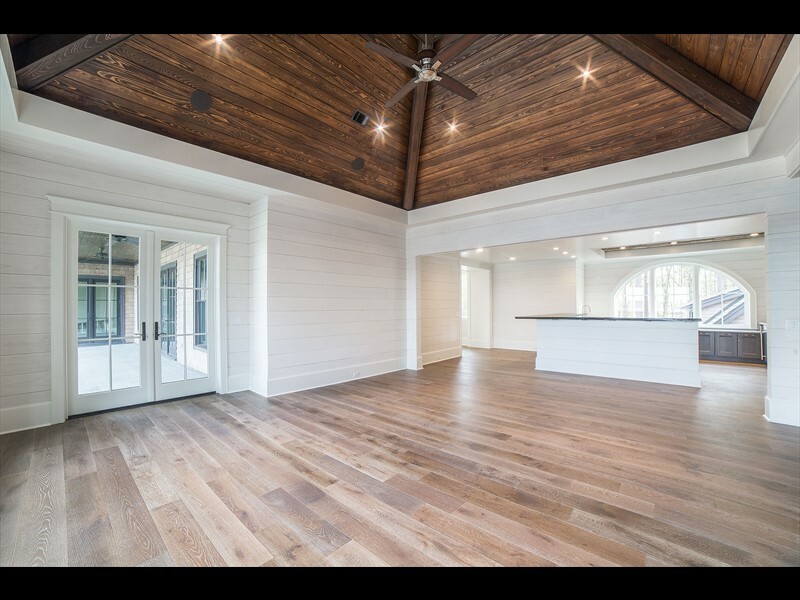 Both the living space and bar area are accentuated with horizontal shiplap walls and reclaimed-wood ceilings that complete a truly unique guest experience. 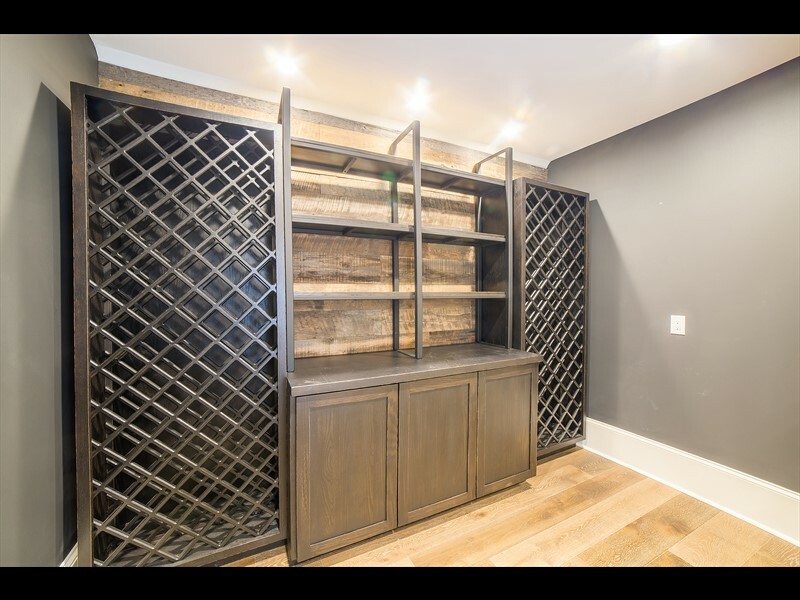 A separate wine cellar brings an extra touch of luxury to the home with custom wood shelving, reclaimed wood backdrop and beautiful windows connecting it to the space. 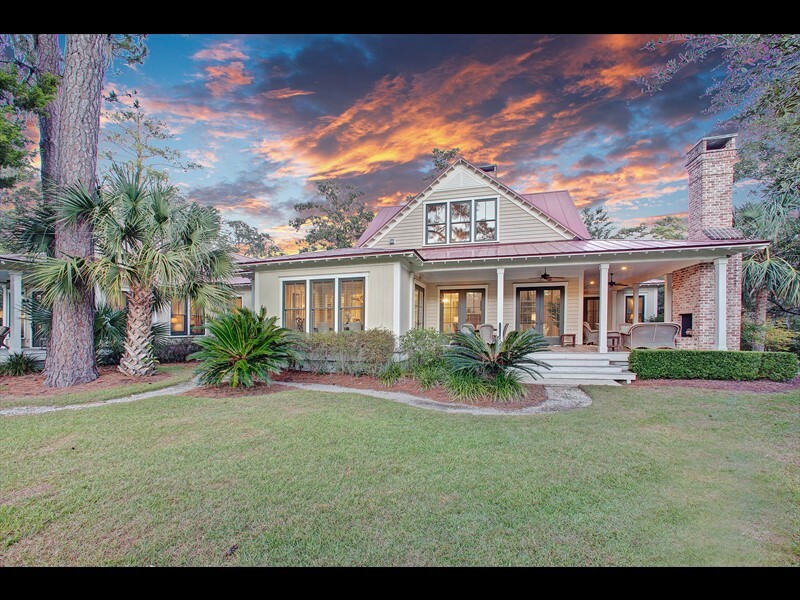 The extensive outdoor living areas take full advantage of the Lowcountry scenery with a screened-in porch with full outdoor kitchen, gorgeous saltwater pool and jacuzzi. 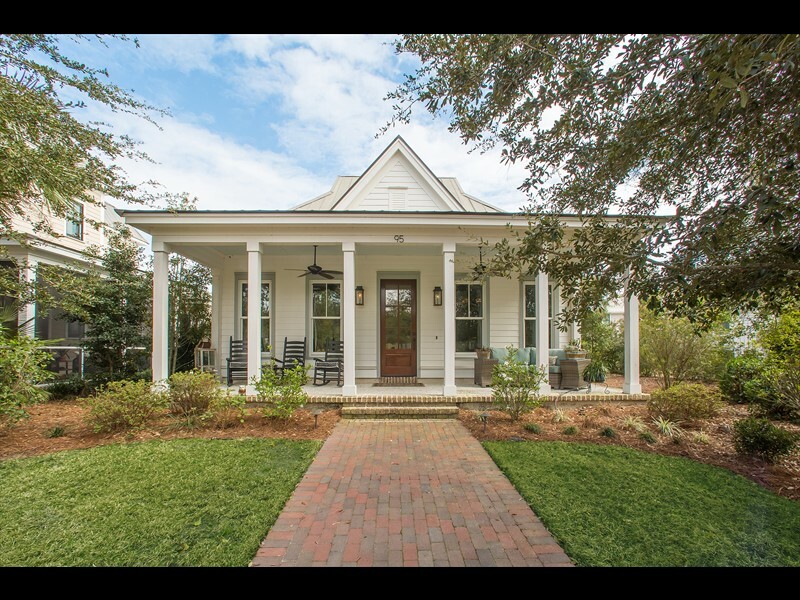 The pool house hosts a full bathroom, living area with a kitchenette and fireplace as well as a porch and comfortable loft. 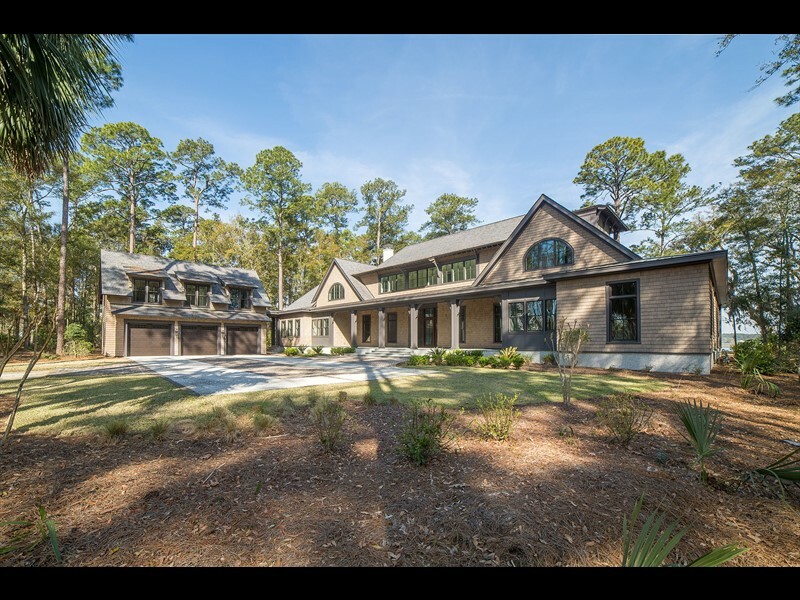 Guaranteeing ample storage space and convenience, this home also features a detached three-car garage with additional golf cart space, and carriage house above creating the ideal space for guests to feel right at home. 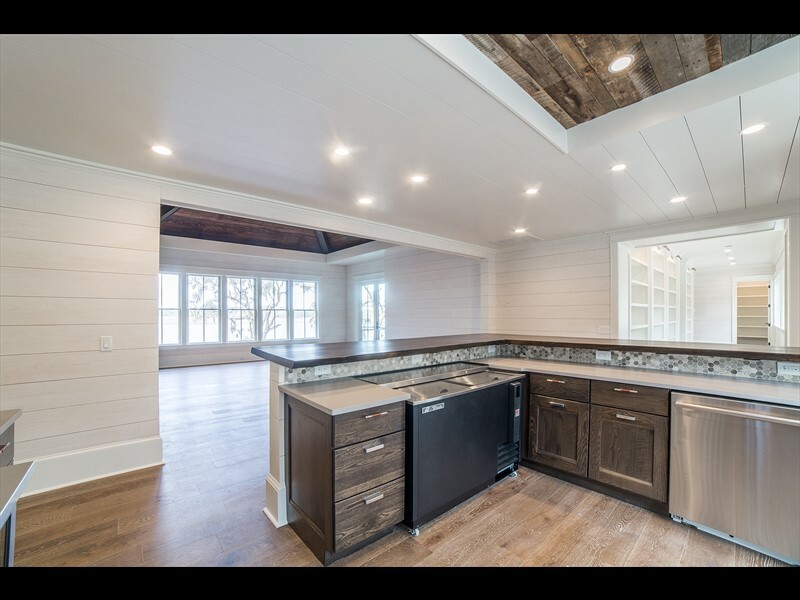 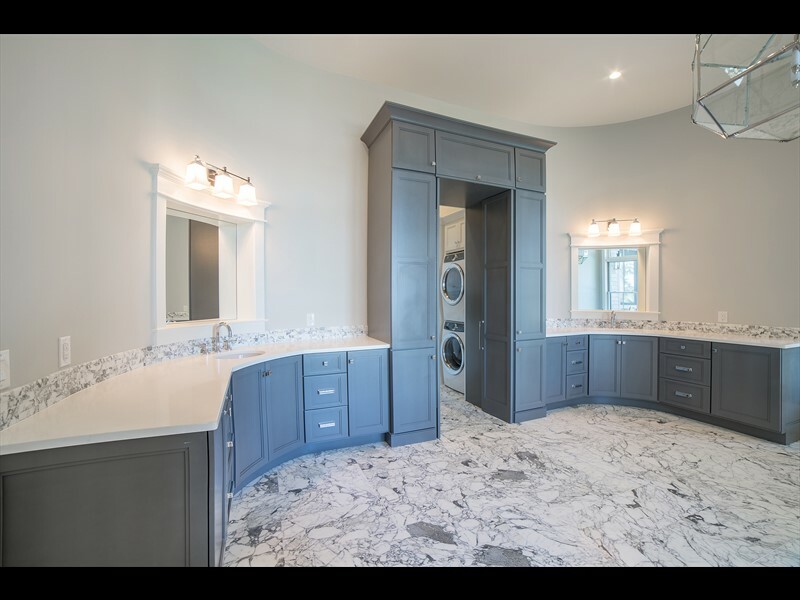 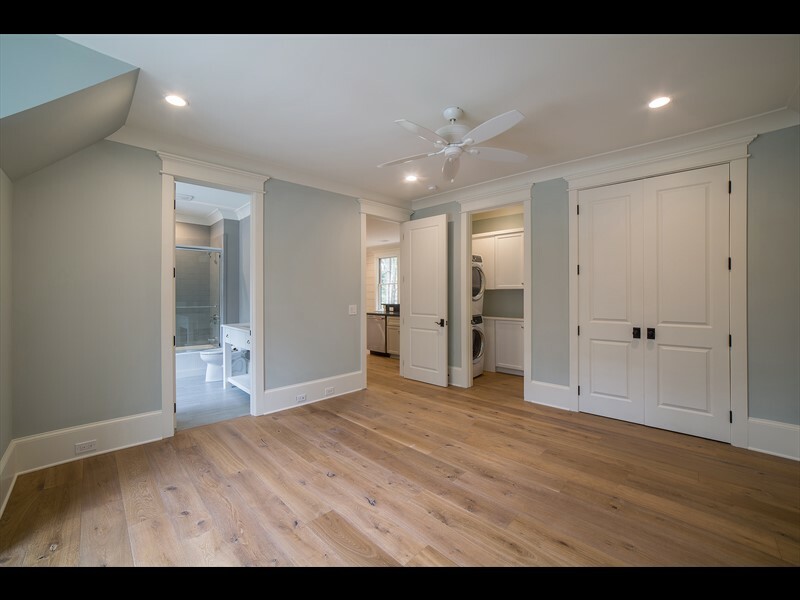 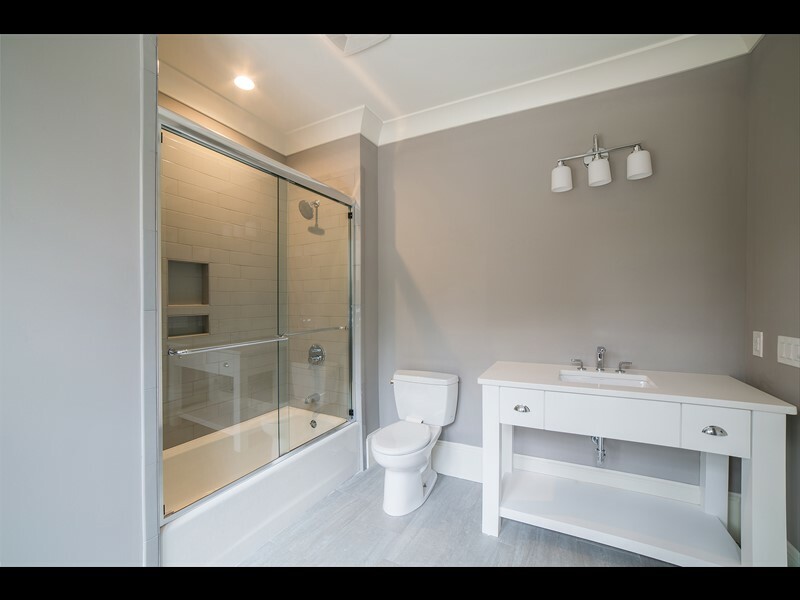 The carriage house includes a full kitchen, living area and a bedroom suite as well as a washer and dryer for guests to enjoy.